Digital marketing involves promoting a brand or a product with the help of marketing campaigns on digital media channels. 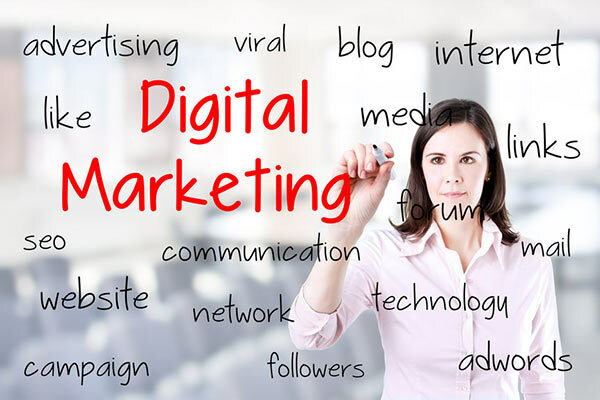 Digital marketers or online marketing specialists are responsible for executing such marketing campaigns through digital media channels such as email, website, mobile, and social media platforms like Facebook, Instagram, Twitter, etc. This is done to create awareness about the product or brand among potential consumers to enhance sales and drive lead conversion. Nowadays, Digital Marketing techniques such as Content Marketing, Big Data, Social Media Marketing, etc. are implemented for increasing customer engagement across different inbound marketing channels. Digital Marketing is one of the fastest growing industries of today, as the digital economy is growing at an in. It has proven to be more advantageous than traditional marketing. That is because it is a much faster, economical and more efficient approach. Due to the continuous development in the field of Digital Marketing, it is being identified as a very promising career option for qualified candidates. The digital economy is booming. With over £120 million of government investment predicted in the next three years, it’s no surprise that the number of digital jobs is increasing.Great news for those of you wishing to pursue a career in digital marketing.Whether you’re passionate about search, affiliate, social media or another area of marketing, there are a few things you can do to prove your worthiness to potential employers. Working in a fast-growing industry requires intellectual curiosity and an eagerness to learn. Don’t be afraid if it hasn’t been done before; the desire to innovate and identify new trends will set you apart from other aspiring digital marketers. With so many digital marketing terms, it’s easy to confuse your SEM with your SEO. Make sure that you know the lingo and that you’re able to discuss your digital marketing strategies with these in mind. Being unprepared is an easy way to lose credibility amongst industry professionals. Metrics are key - digital marketing is more data-driven than people care to admit. Use freemium services such as Google Analytics to acquire information about how users interact with your site. If you can analyze how each marketing channel has performed, you can identify which is best for your business - saving you time and money. Surround yourself with innovators. You want to be inspired by those around you, not restricted. Don’t be afraid to network - attend conferences and industry meetups as regularly as you can. They are great opportunities to build offline relationships that you can develop online. Plus, who can turn down free Prosecco? Nurture your online personal presence. If you’re looking to show an employer that you can build their company’s online visibility, then make your brand is vital. Think of it as an extension of your CV - another way that you can showcase your abilities. Blogs or profiles with a clear vision tend to be more successful, so find a subject you love and run with it. Keep up with industry news by following digital marketing sites and key influencers on social media. An understanding of current online behavior will allow you to keep up with the latest industry changes. Here are some suggestions to get you started: Distilled, Moz, PPC Hero, Social Media Today. Dabble in everything, specialize in a few things. Rand Fishkin, the brains behind Moz, refers to being t-shaped as having a basic understanding of multiple marketing disciplines, but specializing in one or two areas. Having overlapping knowledge areas within your team fuels creativity as it allows you to understand each others challenges, as well as feeding a good brainstorm. The organization helps in pretty much every situation - unless you’re an abstract mastermind like Picasso, and even then it can’t hurt. With a career in digital marketing, you could be in the office one day and off to an international conference the next - an exciting prospect, but you’ll need to plan. A great way of handling your time and resources is by incorporating agile practices into your team, helping you manage your digital projects the most efficient way possible. If you want to get noticed amongst your peers in the industry – a professional qualification is a great place to start. As the industry grows, recruiters will ask for more. A digital marketing certification takes someone with natural talent and gives them an in-depth understanding of digital strategy. If you’re interested in getting certified, get in touch with one of our learning consultants today. Ruchi Gupta is a successful blogger, who specializes in all the different form of digital media content. She is well known for her informative articles that help readers to get a good idea regarding the latest developments in the field. She also has a lot of interest in the different technological advancements.